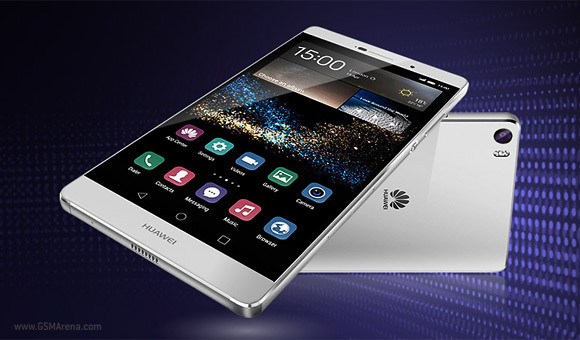 Rumors had us expecting a P8 Lite, however Huawei went the polar opposite direction and unveiled the Huawei P8max. The device blurs the lines between phones and tablets with a whopping 6.8" screen. It covers a massive 83% of the front though resolution is less than you would expect for the size – 1080p. Like its smaller sibling, the P8max has a metal unibody made of aerospace-grade aluminum. It measure 6.8mm and its internals feature a complicated 7 layer heat conducting structure, which helps keep the chipset running 5°C lower than competing devices. To make use of its processing power – a Kirin 935 chipset with a 64-bit octa-core processor running at up to 2.2GHz – the custom software offers split-screen multitasking. Also, the homescreen has a landscape mode, just like a tablet. 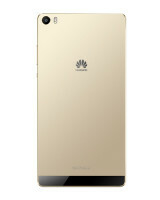 The Huawei P8max brings a 13MP camera with OIS, though it's not clear if it uses the unique RGBW sensor of the smaller P8. The phone does have the DSLR-like image signal processor though. The selfie camera has a 5MP sensor. The phablet is powered by a large 4,360mAh battery, which will last over 2 days of normal usage and about 1 day and a half of heavy usage, according to the company. 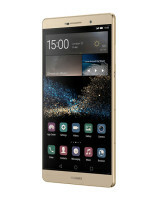 The Huawei P8max will work with a number of covers, including one made out of perforated leather, which sort of acts like HTC's DotView cases. Huawei's case has magnets that allow it to work as an adjustable kickstand for a better viewing experience. The P8max can last 15 hours of playing back video and it will be loud doing it thanks to a 1W speaker on the bottom. 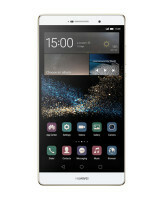 The Huawei P8max will launch in 30 countries about a month after the P8 and will cost €550 for the base version with 16GB of storage and €650 for the 64GB model. They also differ in color options. Like the 5.2" flagship, the P8max is a dual-SIM, dual-standby device and its 4G LTE connection can reach up to 300Mbps.